The Maserati GranCabrio, the first four-seater convertible in the Trident carmaker’s history, will make its world wide debut on September 15 at the upcoming Frankfurt Motor Show. 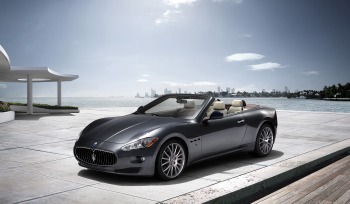 The introduction of the GranCabrio – the Trident’s third prong – completes Maserati’s product line-up that now consists of three different families of models: Quattroporte, GranTurismo, GranCabrio. 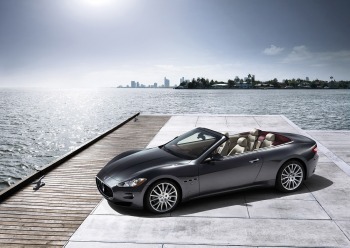 The GranCabrio represents the very essence of Maserati in terms of open-top cars. It’s a Maserati in the purest sense of the word: from the unmistakable style by Pininfarina to the spacious interior, from the craftsmanship of each detail to the driving pleasure and performance. The Maserati GranCabrio enriches all five senses in a shared open-air experience, without sacrificing comfort and performance. A dream car designed and built for men and women who love to live life in an understated – though sophisticated – manner. 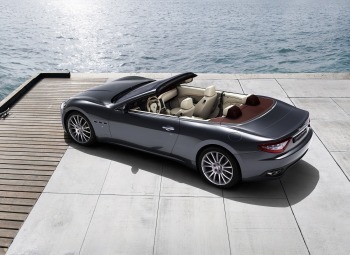 Like all the made in Maserati open-top convertibles: special cars aimed at refined connoisseurs. In fact the GranCabrio is continuing the Maserati tradition in open-top cars, joining models that have played such an important part in the Modena carmaker’s history such as the 1950 A6G Frua Spyder, 1960 3500GT Vignale Spyder, 1964 Mistral Spyder, 1968 Ghibli Spyder and 2001 Spyder designed by Giorgetto Giugiaro, the car that marked Maserati’s return to the United States. In the footsteps of tradition, the GranCabrio opens a new chapter, because never before have four-seater top-down models ever been produced at the Viale Ciro Menotti Maserati factory. Four proper seats, so that the rear passengers are not merely supporting actors, but co-stars of the journey. The GranCabrio is powered by a 4.7 litre V8, 323 kW engine and is the convertible with the longest wheelbase on the market. 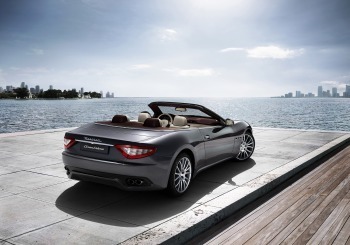 The GranCabrio’s roof is strictly canvas-made, emphasizing the link with the Maserati tradition. The Maserati GranCabrio will be marketed starting next winter, and experienced by customers the world over from the following spring.